Enjoy an evening of Irish entertainment. 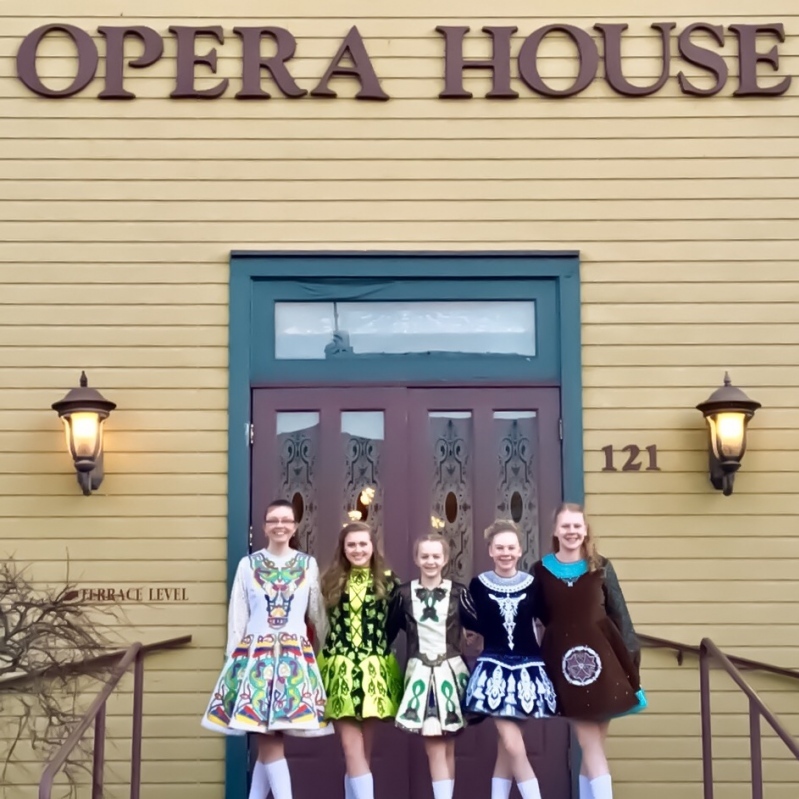 The McCartney Irish Dancers will be on hand along with The Asbury Brass Quintet, the Glen Erin Pipe Band, live music featuring The Pub Runners start at 7 pm. Food and beverages will be available throughout the evening. 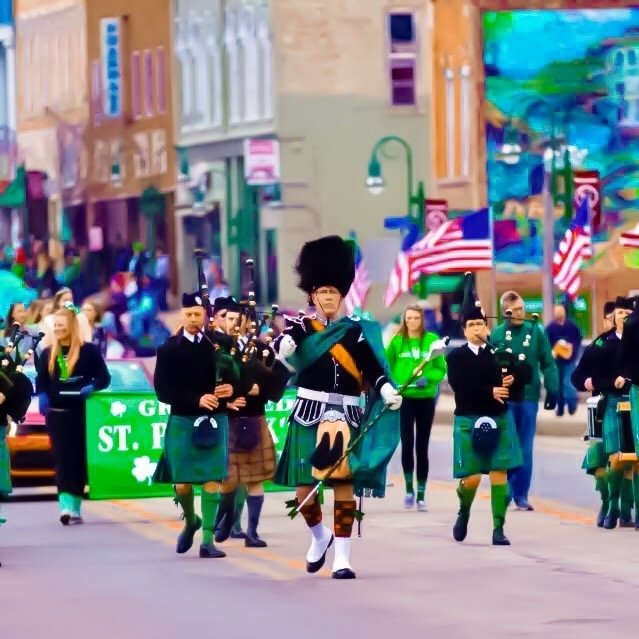 Irish Stew Cook-Off - Come into the American Legion Post 48 at 731 N. Clinton St. and vote for your favorite Stew. Stop by the Opera House for a corned beef slider + a cup of potato soup (while supplies last) and a Guinness Beer. Irish music will be playing for your entertainment. 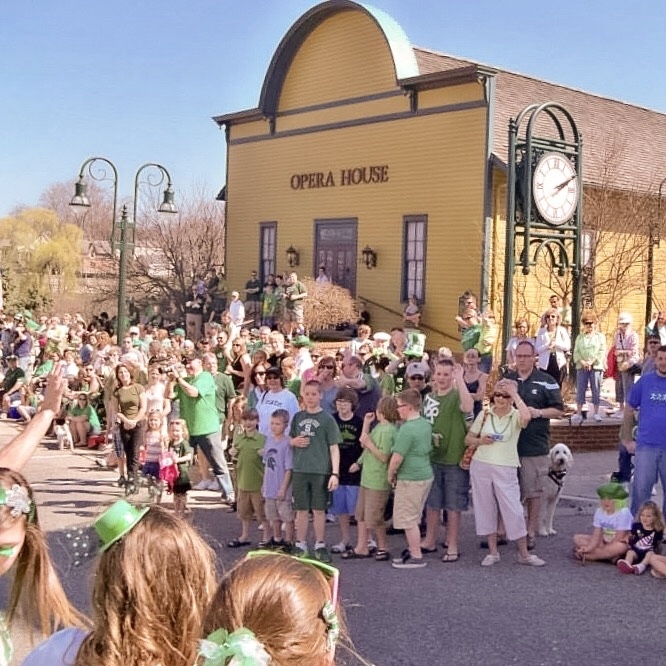 The Hubbardston Irish Dancers along the Glen Erin Pipe Band will entertain the crowd after the parade. Throughout the afternoon local musical talent will be performing. Starting at 8:00 pm Finvarra’s Wren an Irish Band from Detroit will be on stage providing live entertainment. 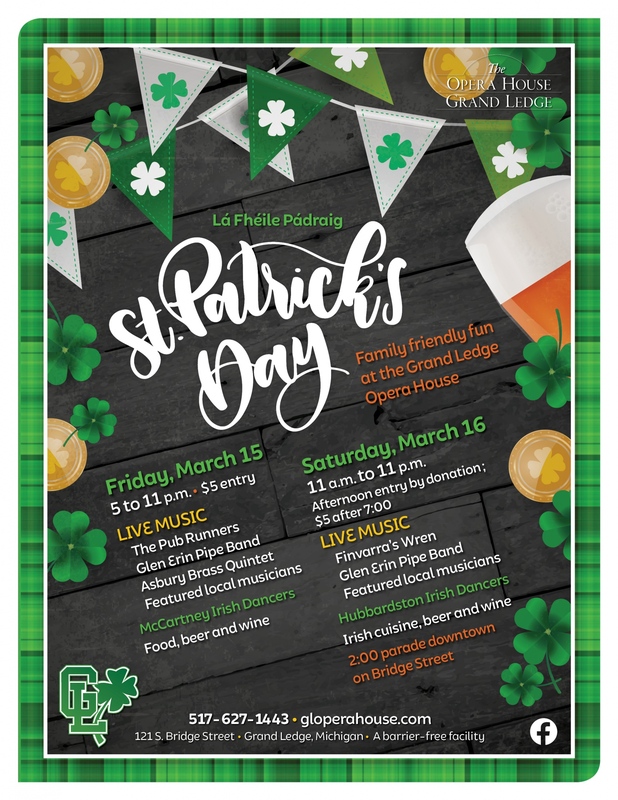 Irish fare and beverages will be available. Without the Generous Support of the Community and the Following Local Businesses, Groups, and Individuals this Event Would not be Possible!